Experienced, client-centered, solution-oriented business and real estate lawyers in Tucson, Arizona. Our Firm was founded in Tucson in January, 2000, by Patrick J. Farrell, a native Tucsonan, and Jerome J. Bromiel, originally from the midwest, but a Tucson resident since 1985. Each has practiced law for more than thirty years. 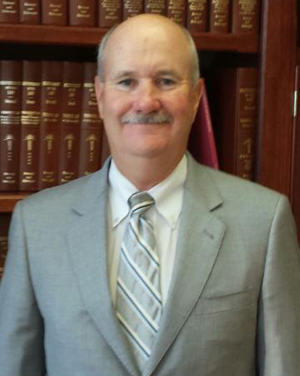 Michael B. Halladay, who has an extensive domestic relations practice, is 'of Counsel' to the firm. The firm has an exceptional civil law practice and provides comprehensive and personalized legal services to businesses, individuals and families, professionals, corporations, and non-profit and charitable organizations. Our commitment is to personalized client-centered, solution-oriented advice, with its focus in the areas of real estate law, business and corporate law, commercial and real estate transactions, probate and estate planning, contracts, lending, and related litigation, including trials and appeals. The principals of the firm are also proud to be active volunteer leaders and participants in the Tucson charitable/non-profit community. The firm has received an 'AV Preeminent--Peer Review Rating' from Martindale-Hubbell, the universally recognized, nation-wide legal services/attorney rating system. The 'AV Preeminent' rating---Martindale-Hubbell's highest---reflects the confidential opinions of members of the Bar and the judiciary, and evaluates legal competence, knowledge and experience, communication and analytical abilities, and ethical, reliability, and dilligence standards. We are happy to help business owners and individuals with a wide array of legal services including commercial dispute litigation, contracts, real estate transactions and disputes, wills, trusts, and other estate planning services, and more. Start-ups and formation; business entity choice; closely-held businesses; acquisitions and sales; on-going business advice and counsel; professional businesses (i.e. medical; dental; engineering; etc. ); contract preparation, negotiation and review; employer/employee issues; proprietary property and confidential information and protection; covenants not to compete; business disputes and related litigation; business restructuring and succession planning and implementation; terminations; management issues; tradenames; general business guidance and counsel. Phi Eta Sigma; Law Clerk to Justice Frederick S. Green, Fourth District Appellate Court of Illinois, 1977-1979; Board Chair, American Cancer Society, 1983-1985; Member, Board of Visitors, University of Arizona College of Law, 1986-1989; YMCA of Southern Arizona, Board Member, 1993-present, Board Chair, 2005-2007; Member, Pima County Real Estate Research Council. Pima County and American (Member, Sections on: Corporation, Banking and Business Law; Law Practice Management; Real Property, Probate and Trust Law) Bar Associations; State Bar of Arizona (Member, Sections on: Business Law; Probate and Trust Law; Real Property Law); Southern Arizona Estate Planning Council. Phi Kappa Phi. Recipient, Wall Street Journal Finance Student Award; University of Arizona College of Law/Pima Community Bar Association Mentoring Program, 1999-present; Greater Tucson Economic Council, 1991-2004; Sts. 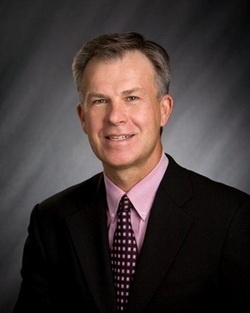 Peter and Paul School Board, 1998-2005 (President, 2001-2002); The Blake Foundation Board of Trustees, 1985-present (President, 3 years); Lohse Family YMCA Board of Managers, 1993-present; Greater Tucson Leadership, Graduate, Class of 2002; Diocese of Tucson Catholic Cemeteries Board of Directors, 2005-2011; Rotary Club of Tucson (Casas Adobes), 2010-present.